Part of my passing the time while doing the laundry series. 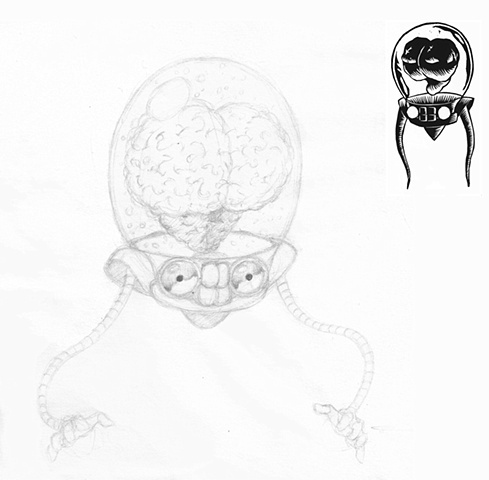 This was the creation of the character called The Brain that would appear in many of my woodcuts . He became less anthropomorphic as time went on (upper right image, taken from one of my woodcuts). I save even the smallest doodles, they can have some great ideas that you may not be aware of at the time.